There are always important statements to be made at the State of the Nation Address, and some of those include fashion statements too. In 2017, Advocate Thuli Madonsela won the SONA red carpet in a canary yellow Gert-Johan Coetzee gown, and ever since then we've all made sure to keep an even closer watch on parliament's red carpet lest we miss other outstanding style moments. READ MORE: The SONA 2018 red carpet - finally a stylish, happy place! 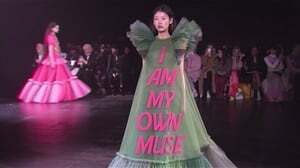 And last year, after a postponement due to pressure for Jacob Zuma to resign as president, South Africans watched the red carpet and the address with much excitement and Ramaphoria as MPs, esteemed reporters and several more high society women paraded their SONA looks. 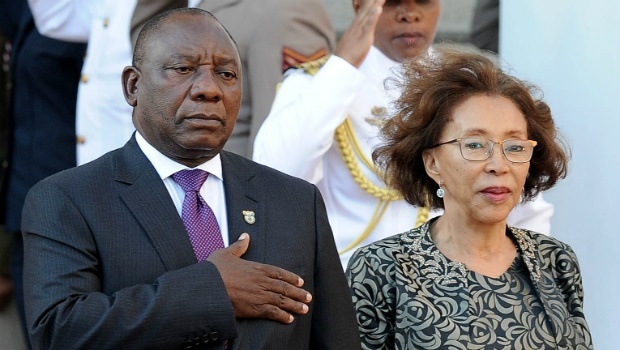 The First Lady Tshepo Motsepe, Raabia Clarke, Nozuko Mbalula, Cathy Mohlahlana and Thembeka Ngcobo were among some of our favourite appearances at #SONA2018. And we're looking forward to seeing them exude sophistication once again this year. Last year, our First Lady opted for a classic cropped blazer and voluminous skirt ensemble. As such, suits and all things brocade seem to be part of her style DNA. Or maybe she'll take a risk and go for something a little more dramatic by Orapeleng Modutle. READ MORE: We went shopping for the new First Lady Tshepo Motsepe - and this is what we got! Raabia Clarke and her husband Mandla Mandela usually wear coordinating traditional regalia. We hope they've given Rich Factory a call this year. My name is Rina Chunga Kutama and I am a creative entrepreneur. Mostly known for my work with African print fabrics (also fit that fabulous African bohemian wedding). What’s sets my brand apart is how we use the prints in an unexpected way and have introduced a way of clashing prints as well as a love for mixed texture and soft and hard silhouettes. My goal many years ago was to take African print beyond “traditional wedding attire”. My inspirations outside of beautiful African women ???? are Spanish frills and flowers and Asian street styles and architecture. I am also a story teller and looking forward to sharing that side of myself in my next fashion show. My focus for the last few years has been building my fashion brand but I would like to open that up a bit into my other passions. My dream is to work as a creative consultant working on cultural conservation in various fields. ??. My dream brands and people to work with currently are @amarula_official @mrp_home @adidasza @traceeellisross @anna_dello_russo @vlisco ... putting it out there. Affirming. It’s Monday and after a weekend of rain in Johannesburg I’m ready to meet the world and tick off some goals. Happy Monday family! ????‍??????‍??????‍?? Mrs Mbalula looked memorable in solid emerald green at #SONA2018. How about some prints from Sindiso Khumalo this year? Yes, with the gloves too and some Philip Treacy-esque headgear. Mrs Gigabyte, as she's affectionately known, has a good track record of standout dresses. Will she give the people what they want again in 2019? We think so. And Gert-Johan Coetzee should be her designer of choice. Bheki Cele's partner proved last year that a little late afternoon sparkle has never hurt nobody. We think she also wouldn't mind this Orapeleng number - reimagined with lining to suit the occasion. Burgundy was the Speaker of the National Assembly's hue in 2018, but it's time someone creates a stir in yellow again since 2017. So perhaps a gown in this cut? We hope Quiteria & George are on this for her.